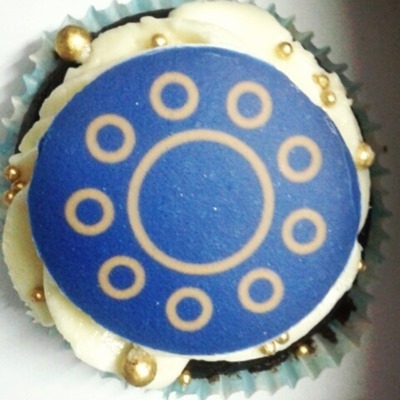 Shardul Amarchand Mangaldas, the Amarchand Mangaldas Delhi-headquartered breakaway by former co-managing partner Shardul Shroff, has launched today (Sunday 10 May) unveiling a new logo that was shared with associates on cupcakes (left). 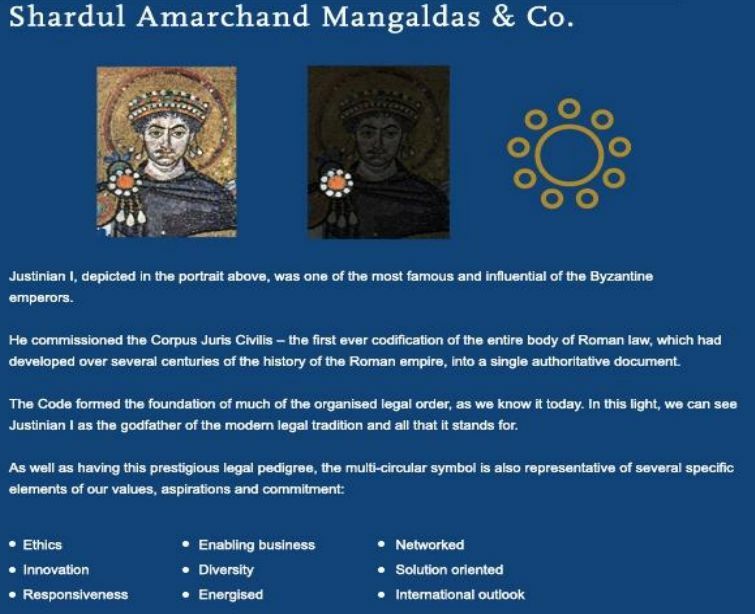 The original partnership firm Amarchand Mangaldas Suresh A Shroff & Co was dissolved yesterday (9 May), with Cyril Shroff due to launch his new firm Cyril Amarchand Mangaldas tomorrow (11 May). Legally India understand that Under the terms of the settlement that ended the six month mediation between Cyril and Shardul, both brothers are only allowed to use the iconic ‘Amarchand Mangaldas’ name in their firm name when pre-fixed by their respective first names, or for philanthropic purposes. However, neither brother is allowed to use the words ‘Amarchand’ or ‘Mangaldas’ or both in their internet domain name, which until yesterday was amarchand.com. Under the settlement amarchand.com email addresses will continue working for the foreseeable future and will forward emails to the correct inboxes, but both new firms have already transitioned to new primary email domains: cyrilshroff.com for Cyril Amarchand Mangaldas, and amsshardul.com for Shardul Amarchand Mangaldas. We have reached out to Shardul for comment about the new logo. Cyril said when contacted that he had not yet finalised Cyril Amarchand Mangaldas’ new logo. I was told that there was a private event today at Hyatt where the entire firm was invited to celebrate launch of the new firm. Several presentations were made. There was a live Jazz band and a live kitchen. What intrigues me is that within a few hours you got a picture of the cupcakes distributed there and details of some transpired. You have a snitch at Shardul Amarchand!!!! But things like logo cupcakes travel fast on social media, etc. Party sounds exciting - any first-hand reports? Don't know much about the party, you should ask your snitch for first hand details :). I heard it was regular fancy law firm party with a good flow of expensive alcohol. New partners from Mumbai were also invited. Any idea who is the big name in Mumbai? By the way Shardul Amarchand now has a wesbite or at least a landing page- check this out www.amsshardul.com. You would find a new logo in better resolution - better than logo on a cupcake :). You troll social media feed of amarchand (sorry shardulamarchand) lawyers! they should be warned! Are you revealing the details or concealing them? Well...it seemed like a good event and the vision statement seems quite nice. Also, a good announcement of 100% bonus for 100% recoveries. More partner announcements to come. Yeh kya ghungru logo hey! Logo on Cupcake. Ridiculously funny!!!!!!!!!!!!!!!!!! Ghoomte reh jaoge!! Dhoondte reh jaoge!! The new logo somehow reminds me of an aeriel view of our parliament!! The logo represents the nine circles of hell. As per the website, every office has the same email id. LOL. I am sorry to say this but the new firm name and email addresses reek off self-promotion and one upmanship. I cannot imagine how the managing partners could have allowed this/accepted this. Imagine a fresher associate shooting out emails from his email ID : . Idiotic. Indians will remain Indians. It takes much more than talent and hard work to build a long lasting organization. Ha ha ha. True. Imagine Linklaters lawyers sending emails from (their current managing partner). As long as this is the mentality of Indian law firm owners, they can expect zero loyalty. I am sorry to break the news to both of you that it is a norm for partnership firms to be named after the partners. most firms you know today were founded long back and have retained their founding partner's name as a brand which does not change. So your confusion is understandable. CAM and SAM are new firms, possibly they will retain there birth names despite changes in managing partners in future. Was, do you? I could go on but I think it's enough. Of the two, SAM's email is more representative of the firm's name where CAM's email is all about one person - "Shroff" is not used in name of CAM so using is a bit off. Branding, rest assured you criticism fanatics they must have spent a lot on branding and logo. You may not like it, but they like it and they are the Shroffs not you! Sam's email id is more representative of the "firms name" but isnt it against the principle of separation nd not using the AMSS legacy. amssshardul.com is wrong, you are using the amss legacy. anyhow i think this can be expected, while CAM side was being upset about the break of a 97 year firm, SAM side was spending the 600 crore loot!! Does that change your argument? looking at the two domain names, it looks like Cyril is yet again being more ethical. lets just keep the pseudo advt to the alcohol industry plz!! Not arguing the point. Just saying that there are other firms in India who already use the names of their promoters (e.g. NDA) as their email domain names. So nothing new. How can a firm of 500 lawyers be named after 1 person? Yes, Linklaters is 2000 lawyer firm named after one person! When entire schemes can be named after Gandhis, why not a firm. JaiHo! looks like the tiny circles are the offices outside Delhi. Or a paw print? Or what??? Eww. Couldn't afford a branding agency despite the war chest? 2. Only SS in the inner circle and rest of the world trying to get in. 3. SS' own Round Table (like King Arthur) to prevent his barons (equity partners) quarreling for supremacy. 4. Big circle Delhi office, small circles small offices in other cities. 5. Some astrological reference. Bleh! I think its just lack of imagination. So will go with 1. Maybe based on the story of Akbar and his nine gemes. Clearly CAM now? From the well thought out structured analysis. The best will be ABC.XYZ@cyril shroff.com. They should have registered cyril'spet.Com. would have made much more sense. Dumbo. Don't you know you cannot use special characters in a domain name? I guess it is the sun and nine revolving planets in the blue sky. Nine planets? Pluto thanks you, and SSS if this is true, for your loyalty. What would cyril shroff's own email id be? Cyril.shroff@cyril shroff. Com? How thoughtful. Is it the first time you are reading about partnership firms? AZB is A**, Zia and Ajay Bahl. Everyone here deserves a lollipop. Ignorance is the next big thing. Anything like Everything. One ring to bring them all and in the darkness bind them . Like Rajanikant Cyril does not need any other identity in legal fraternity so email id and domain name become same. That does not look like a cup cake at all. Looks like the cup of a bra. Seriously dude!! What is wrong with you!! The logo is a circle surrounded by many circles. It is like a ring of circles around a ring. Link this with CAM and SAM family drama and Bingo! you have an explanation for the logo. Rise and Shine peeps! With your comment, you tried to be a Rooney. But, my friend, you are reduced to nothin' but Fa(i)lcao. Rooney is old. this is the age of Lollipos. and nobody dares to stand up against me. I think its one of the tyres from the broken bicycle^... albeit with a fancy alloy rim! All Managing Partners have the same email id. How bizarre is that? An email sent for a Kolkata matter will simultaneously reach Gurgaon and Ahmedabad? Or Admin issues surrounding one branch will reach all other branches? Couldn't have spelt out 'didn't think this through' enough! That's quite an ugly logo! One would have expected better, knowing how much cash SAM has to flash! Also the firm names ought to have been thought out better. Quite hideous. Shardul's litigation office in Lentin Chambers, Fort? That's exactly where Cyril's litigation office also is, presently. Logo says: We love talking in circles! or we'll take you for a round! 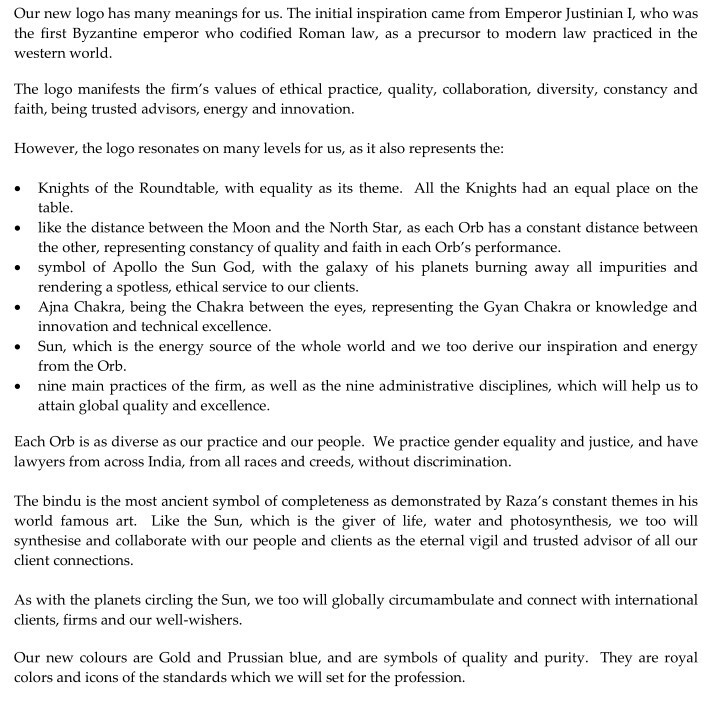 "The firm has launched its new brand identity, inspired by Emperor Justinian I, who codified Roman law, the foundation of modern law. The new logo resonates with the firm’s values which include ethical, quality, collaboration, diversity, constancy and faith, trusted advisory, energy and innovation." We won't be publishing a separate story on it, if everyone's ok with that? We are okay with whatever you do Kian. We are just trolls! INR 7 billion quite clearly gets you some amazing stuff to tok. Why don't they add in their values that their employees will be given a better future without sucking their blood. They will value the concept of "Being Human". They will value the personal life of their employees. This new Amarchand will be a new journey all together. That this Amarchand will raise the bar and change the mindset of all regarding the concept of "Lala Set Up". That our HR policies will be the best in service Industry. That we aim to become one "the best law-firm to work for" worldwide. We actually don't give ***k about your values or to this so called high profile split. However we will value if you will give us a firm which actually values the talent, personal life and above all the value of Being Human (I am not a fan of Salman Bhai. One of the point on which both the new firms should compete with each other shall be to become the Best law firm to work for. Good God! Can someone please ask them to stop taking themselves so seriously. This isn’t the birth of a nation state! That logo is a joke. A brooch worn by one who drafted what would later serve as the inceptions of Civil Law, is adopted by a law firm in a Common law country. Ahahahaha. Should've picked a better ad agency. I think the logo is representative of a Gujarati feast with the main plate accompanied by small bowls of dal, kadi, subzi and farsan basically saying "Welcome to the feast"! 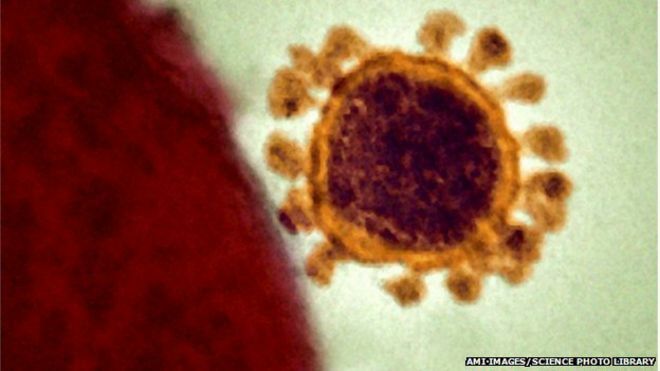 Just been sent this, which was slightly amusing: "There's a striking resemblance between the new SAM logo and the Ebola virus." @XYZ : Yes I have heard of Mr. Cravath & Mr. Linklater, for whatever that is worth. I am guessing they wud be a little less [...] than some of our beloved Indian law firm partners. How did u come to hear of them? Because ur daddy had a lot of money and sent u to do an LLM from the States? After which u came back (without Mr. Cravath having given you a job) to India and started sucking up to BigLaw partners? Also, amsshardul.com can hardly be called a website more a webpage. Will be hard for them to match up websites and webresources like those of NDA.